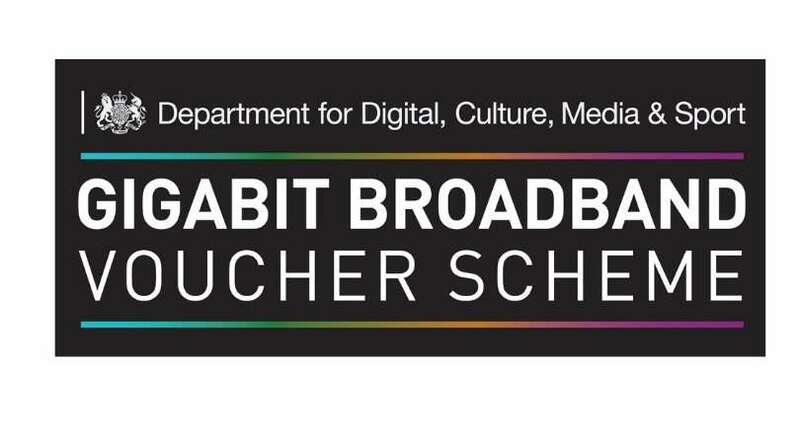 A voucher for upto £2500 which is paid to the supplier to connect a business address to a 1GB capable Fibre to the Premises (FTTP) connection. It is to offset or pay in full the cost of the connection. Only Small and Medium Enterprise are eligible ie under 250 employees and with a turnover of less than 50 million euros and a balance sheet of less than 42 million euros. The business only needs to take a 100mb service or double their current speed whichever is the greater. They do not need to take a 1GB service. We are keen to tell you about the scheme as the central pot of money is diminishing it started at £67 million and has already reduced by half. Importantly is that businesses can sign up to the scheme through an Internet Service Provider (ISP) and do not need to have a confirmed service for up to a year before the voucher becomes void. Therefore we would encourage all businesses to investigate the options and sign up before the money runs out. On a last note the scheme does also cover projects for multiple businesses and residential properties. Therefore a business park could look to set up a project and connect the whole park. SMEs could use the vouchers and reduce the cost to the whole park and of course themselves. Also multiple businesses in one office block can be connected and use the vouchers to assist. Examples being Basepoint locations or similar.